While at our football festival the other day, a few of the lads mentioned to me that they were surprised by the ease with which Malaysia swept aside Indonesia in the AFF Suzuki Cup Finals first leg match held in Kuala Lumpur last Sunday. I was quick to say that I was not. When the Indonesians were playing against the Philippines in the two-legged semi-finals, nerves in their team’s defensive line were starting to get exposed. Remember Younghusband’s overhead shot in the first leg that almost looped above the retreating defenders and into the goal? What I found remarkable more than the shot was the look of utter nervous relief on the faces of the defenders. Psychologically, I thought that moment gave away nerves that the Indonesians – who could not get past our defense after the Etheridge howler – were not publicly prepared to admit. In spite of Indonesia Coach Alfred Riedl’s caution that the Philippines would not be a walkover, I think the Indonesian players and their adoring public all still thought it was going to be a stroll in the park. Had they taken their chances – as they did in the opening match against Malaysia, when Indonesia won 5-1 – then they would have been much more comfortable going into the next match. As things turned out, the second leg was trickier even though Christian Gonzales had again given the Indonesians a slender 1-nil lead. As long as it remained 1-nil – and 2-nil on aggregate over the two legs – then the Indonesians could not feel they were out of the woods yet because two Philippine goals would have given the latter a seat in the finals courtesy of the away-goals rule. For those not into football, that simply means goals scored by a team away from home count double. The nerves were there for all to see – particularly when one Indonesian defender hacked at the ball wildly in the second half even though he was not under pressure after the Philippines had a shot at goal. Our boys were finding holes in the Indonesian defense that previously were not there. That must have been unnerving for a team that won 5-1 and 6-nil in its opening two matches. When you come to think about it, those two opening match routs were never really going to be propitious for the rest of Indonesia’s campaign. For one, it raised the whole nation’s expectations. 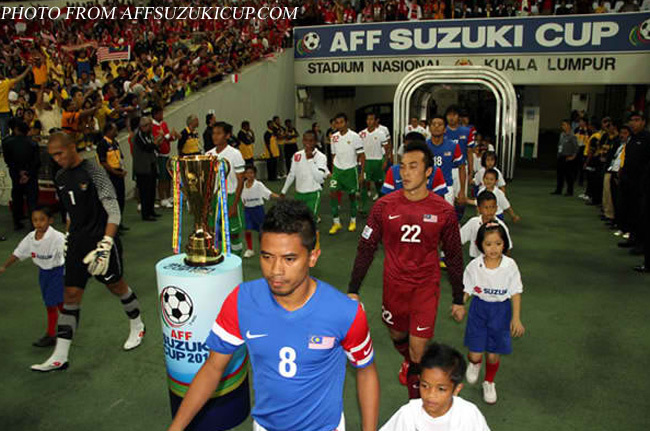 The Indonesian team is, of course, burdened by history and its never having won the AFF Suzuki Cup at all. It is one thing to go into a tournament with the rest of the nation just happy that you are there; and another thing to go through it with everyone thinking you will actually win it. I think we all know that the Philippine team was the case in contrast. Winning hard-fought matches toughens up players mentally and prepares them for the more pressured matches in the latter stages of a competition. In contrast, strolls in the park even lull them into complacency or – at the very least – rob them of mental preparedness. Although Indonesia also prevailed over nemesis Thailand it its last group match, the first penalty awarded to it was dubious at best; and it was never really under any real pressure to win that match at all. The Philippines, therefore, was Indonesia’s first real pressure-cooker encounter. There was also the little matter of Indonesia playing both legs of the semi-finals at home. While it was great for the Indonesian crowd to get a rare treat of hosting both legs, it also meant that before the finals against Malaysia, the Indonesian team had played all its Suzuki Cup matches at home. Therefore, it had been denied the chance to test itself playing in a hostile atmosphere. While the Philippines – Younghusband and Greatwich apart – did not really possess much of an arsenal to eventually undo the jittery Indonesian defense, Malaysia certainly did. The first half of last Sunday’s first leg encounter was obscenely ugly from a purist’s point of view. However, in a startling 12-minute spell – laser pointers apart – the young Malaysians scored the goals that the Philippines threatened to do but never actually did. A lot has been said about the youth of the Malaysian team. That said, we all saw from Germany’s performance in the last World Cup in South Africa that youthful exuberance can sometimes be more than an appropriate substitute for experience given the right sort of players and the right sort of circumstance. The problem with experienced players sometimes is that much of the very experiences that they carry inside their heads are of the negative sort. When they step onto the pitch for high-pressure encounters, these negative experiences become the sources of their fears. Thus, they play lamely. We all saw how lame the English performed against Germany – especially after they were denied a perfectly legitimate goal in what to my mind has got to be the most bizarre non-call ever in a football match. On the other hand, the youth – or so some people say – can play without fear. This is not always the case, of course; but given the right set of young players, they can do exactly that. I thought the young German team’s brand of quick passing football was the most delightful to watch in the whole World Cup in South Africa. To cite another case, Manchester United’s incredible run of titles was sparked in the nineties by Ferguson showing the door to the old guard and allowing youngsters like David Beckham and Ryan Giggs to run free. After tightening up at the back, Malaysia – almost the very same team that won the last Southeast Asian Games tournament – started to grow in belief. The team was certainly toughened up by having to play against defending champion Vietnam in their own semi-finals, the second leg as electric as it could possibly get in front of a forty thousand strong partisan Vietnamese crowd in Hanoi. Just as the Malaysians started to grow in belief, so did the Indonesians seem to lose theirs. Football, indeed, can be a cruel, cruel game! A lot is said in sporting circles about peaking just at the right time. This seems to be exactly the case in the finals of the AFF Suzuki Cup 2010. One team started by losing heavily; but now has one hand firmly clasped around the trophy. Another team started with a bright win; but now stands to finish empty-handed yet again. How twisted fate can be in that these very same teams are now locked again in a duel to the death with the roles amazingly reversed. That, my friends, is just what football is all about. Fortunes have simply changed in less than a month. The commentators of the first semi-final leg tried to lamely generate excitement for the second leg by reminding the audience that Indonesia scored five against Malaysia earlier in the tournament. Indeed, if the Indonesians score four and do not concede a goal, then they will be crowned champions. But who were the commentators kidding? These are the finals; the conditions are totally different and the roles reversed. When you come to think about it, that 5-1 win by Indonesia in the opening game is already ancient history and counts for absolutely nothing. This is now Malaysia’s cup to lose; and for those who did not see it play against Vietnam in Hanoi, as I said in another story, it parked a jumbo jet in front of goal! 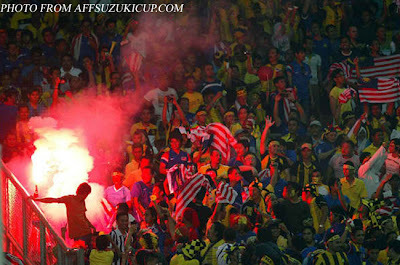 I honestly think Malaysia had done enough in Kuala Lumpur to win the cup. On the other hand, this is football. I have learned over the years never to bet on anything because strange things can and will happen given half the chance.